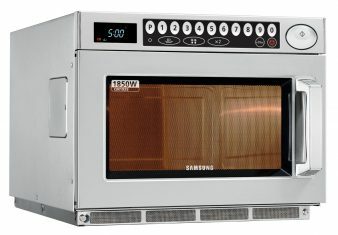 First introduced in 1998, the Samsung commercial microwave range offers something for every kind of professional user – from the light duty range for cafes, bars and low volume vending sites to the heavy duty high-speed ‘Gastro’ range for fast food outlets, restaurant and busy bars. 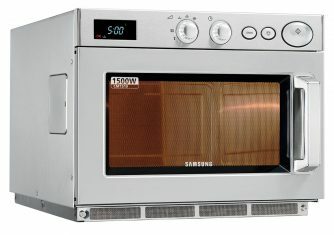 Perfect for commercial customers looking for efficiency, Samsung’s microwaves provide up to 35% more cavity space than their competitors and have a unique cooking pattern designed to produce perfect results time and time again. 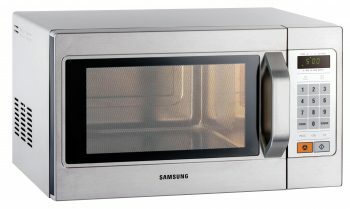 Using high quality components specifically manufactured for commercial use, Samsung guarantee both the reliability and longevity of all of their products. 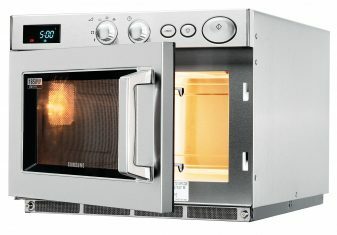 For added peace of mind the full range is also covered by a three-year manufacturer’s parts and labour ‘on site’ warranty.